A place where you can relax and enjoy the Island at your own pace! Where you can enjoy the sun from your own private pool deck, sip cocktails and watch the sunset from the luxury of your own private villa. The benefits of staying in a luxury villa for your holiday vacation in Phuket are fantastic. Many of the villas on the island offer you lots of facilities that most hotels and resorts just can't. Like having your own private pool, just imagine not having to swim with 100's of other guests. If this sounds like you have a look at this stunning villa. Not to mention the benefits of some of the services which are provided, like for example an in-house chef, maid, spa, car and driver to explore the island. Hotel rooms sometimes tend to be duplicated, whereas a villa in Phuket have their own personal touch. The sky is the limit when you choose to stay in a luxury villa in Phuket. 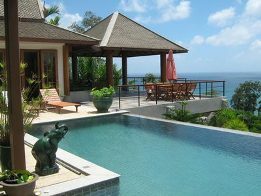 There are many types of villas available for rent in Phuket. Some of the villas are perfectly designed for a weddings, honeymooners or that romantic getaway. While there is also villas that are designed for large groups of friends and are perfect for the extended family holidays. sound like something you would enjoy? 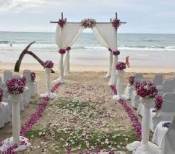 Well it can be, as there are over 270 vacation rentals and villas around the island of Phuket. Most Phuket villas enjoy unobstructed ocean views and superb facilities, some of which include private pools surrounded by stunning scenery, wine and gourmet food. There is nothing better than to sit back in the evening and enjoy a romantic sunset from your own private villa in Phuket. The key to a wonderful holiday vacation is choosing the right villa on the right beach. The island has many wonderful beaches and many villas, so it's easier to decide which beach you would prefer to stay on first, and then choose your villa to suit your needs. When choosing a villa take into consideration the size, location and most importantly the price. 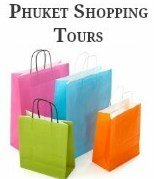 Whether you are planning a laid back holiday in an affordable villa or living it up in a luxury Phuket Villa, you don't need to break the bank to enjoy a holiday in a villa, as there are lots of affordable villas in Phuket. Villa rentals are a great way to save money if you are traveling as a family or group, you will get more for your money compared to staying in a hotel.